New Zealand was given an index score of 82.1, from a possible maximum of 100. The average score across all countries ranked in the index was 59.5, and the average score for New Zealand closest neighbors in the Asia Pacific region was 57.5 points. 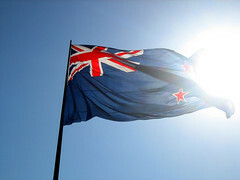 The authors of the report noted that New Zealand has one of the most competitive and efficient business environments in the world, with a particularly easy and effective set of regulations for establishing a new company, the national tax regulations, operating a new business, owning property, expanding commercial activity internationally, and for protecting intellectual rights. On a macro scale, the report praised the long term economical, financial and political stability of New Zealand, but expressed a negative opinion on the high level of spending by the national government. In the 2012 Index New Zealand’s score dropped by 0.2 percent, ranking the country behind Hong Kong at 89.9 points, Singapore at 87.5 points, and Australia at 83.1 points.